Boasting a Snapdragon 845 processor, 6GB of RAM, 64GB of on-board storage and a 6.3-inch FHD+ AMOLED display. 8GB/128GB and 8GB/256GB variants are also available at higher price-points. Design-wise, the OnePlus 6 comes in three colors (Mirror Black, Midnight Black and Silk White) and rocks both a USB-C port for charging and a headphone jack. Like Samsung's Galaxy flagships, the OnePlus 6 has a glossy glass body that's coated in Gorilla Glass 5 on both sides. In terms of software, the OnePlus 6 arrives running a very slimlined version of Android 8.1 with OnePlus' OxygenOS skin. Out of the box, it'll also be compatible with the current beta for Android P.
When it comes to the camera, the OnePlus 6 rocks a dual-rear camera setup that pairs together a 16-megapixel and 20-megapixel sensor. The rear-camera features both OIS and EIS and supports 480FPS slow-motion video in up to 720p. At 16-megapixels, the front-facing camera isn't much of a sloucher either - and OnePlus say that a software update in a few weeks will bring portrait mode to the selfie-cam. The only notable exclusion here is wireless charging, though the OnePlus 6 3300mAh does support the company's proprietary Dash Charger. While the phone will be available via OnePlus' online store from May 22nd, OnePlus are also hosting a number of pop-up events the day prior to launch the device in different markets. Thus far, events for the US, Europe, India and China have been confirmed. No word yet on whether or not OnePlus plan to bring the new device to Australia. Last year, OnePlus conducted a local soft-launch for their OnePlus 5 but not for the OnePlus 5T. 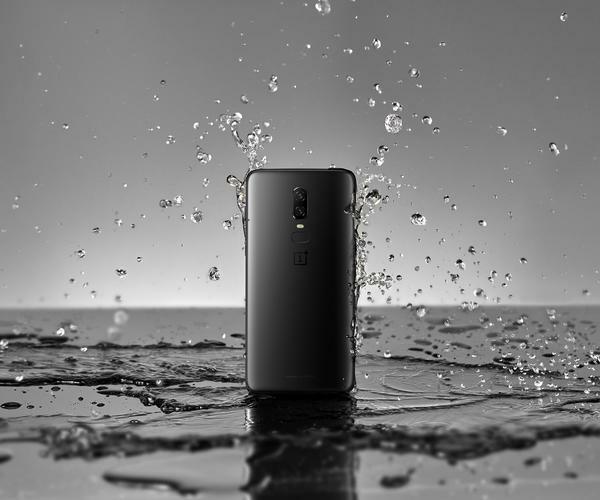 In our review of the OnePlus 5, we said that "The OnePlus 5 absolutely delivers on the brand’s promise of deliver flagship-level aesthetics and performance at a discounted price but doesn’t do a whole lot to endear itself beyond the cold hard math that entails. There’s not a lot of innovation here, just a phone that gets the job done." When it launches on May 22nd, the OnePlus 6 will be available at prices starting from USD $529.